Triple R Transportation is a leader in transportation contracting and consulting and specializes in the transportation of overweight and overdimensional cargo. We offer our services nationwide as well as in Canada and Mexico. Triple R Transportation offers turn-key solutions to meet our customers' complex logistics needs. 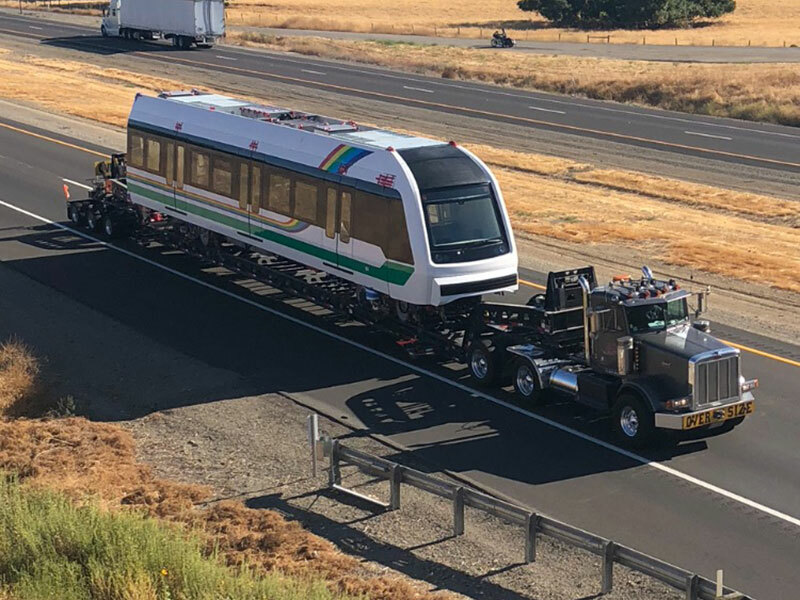 From the planning stages of the project, Triple R can provide feasibility and route studies, thereby working with our customers to optimize product design in order to ensure efficient and cost-effective transportation solutions. Triple R Transportation is equipped to handle our customers’ most complex logistics needs. Click the button below to read more from select projects which highlight the capabilities of Triple R.
Welcome to Triple R Transportation With over forty years of experience, our staff is able to provide personalized customer service and ensure safe, timely, and cost effective heavy haul trucking. Triple R Transportation specializes in heavy haul trucking contracting and consulting with an emphasis on oversized cargo. We act as an agent for a number of the nation’s top carriers, allowing us to connect shippers with the carriers best suited for their particular needs. Unlike a number of our competitors, we take an active role in your project working with both the shipper and the carrier from start to finish. With over forty years of experience, our staff is able to provide personalized customer service and ensure the safe, timely, and cost effective transportation of your cargo. Based in Pennsylvania, we offer our services across the United States as well as Canada and Mexico. OUR MISSION: At Triple R Transportation, our goal is to provide complete customer satisfaction through loyalty, dedication and performance. We are a transportation contracting and consulting company with over 40 years of experience in the specialized transportation industry. We take pride in our safe, committed approach to each project and remain involved from start to finish, allowing us to provide each of our customers with a personalized one-of-a-kind experience. Through close teamwork with our partners, we ensure that each project is planned carefully and executed effectively. We look forward to working with you! Triple R’s staff are experts in the specialized transportation industry, with the company’s founder having nearly 50 years of industry experience. 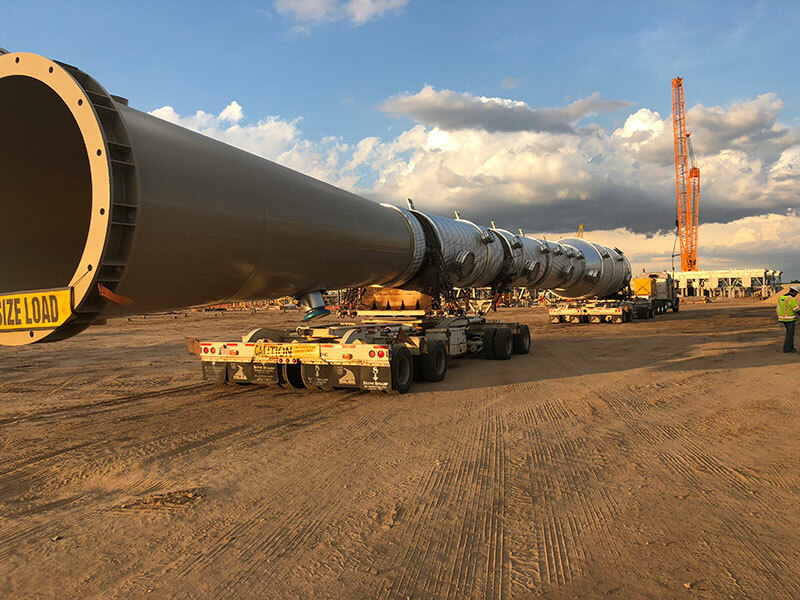 Triple R’s staff keeps in constant contact with its customers, providing daily updates throughout the planning and transportation phases of the project. 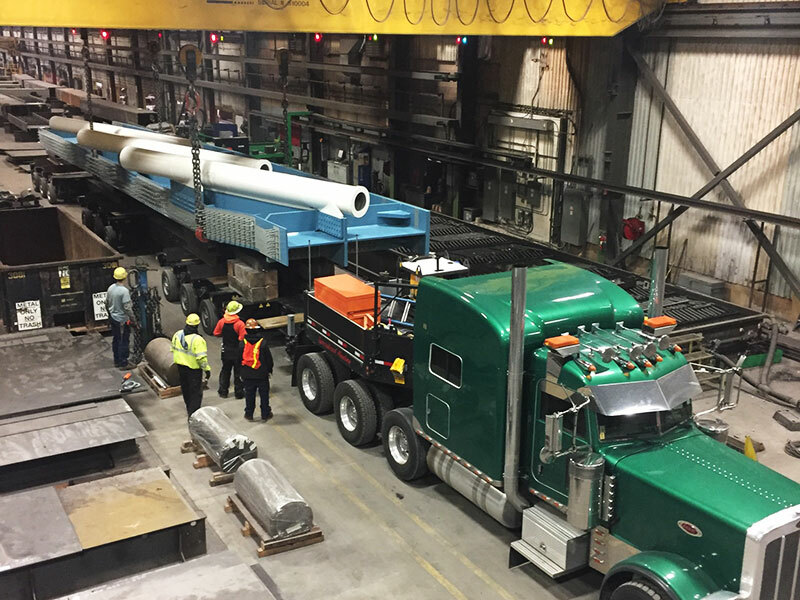 Triple R’s staff can work with customers from the planning stages of their project to optimize shipping dimensions and develop cost-effective transportation solutions. Triple R puts an emphasis on safety and takes all precautions to ensure the safe transportation of your cargo. Joe Robbins and Triple R Transportation have handled numerous loads for Williams. I am impressed with their prompt attention to our needs and the solutions they offer to get material moved. They have also helped me with the warehousing and storage of a number of large import items. I would not hesitate to recommend their company for any transportation and storage needs. 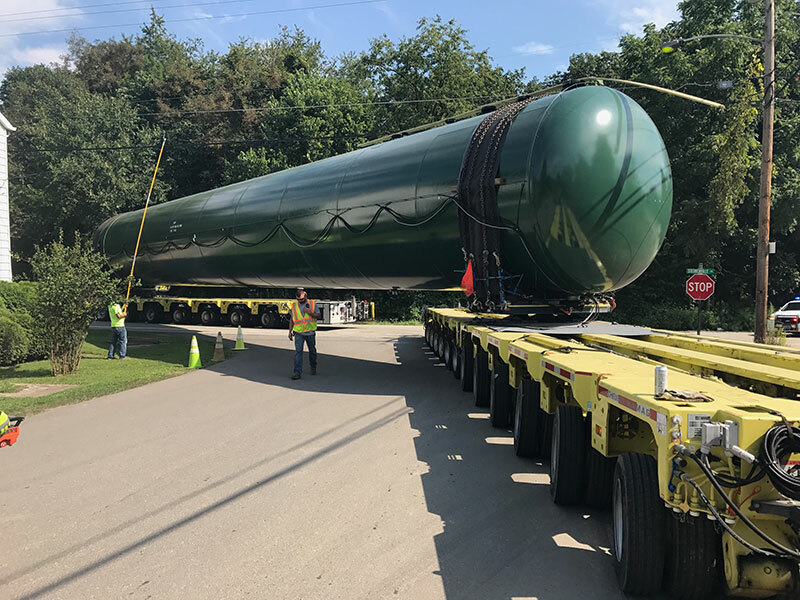 For years, Universal Industrial Gases has used Triple R Transportation for the transportation of superloads and oversized air separation plant equipment. In particular, Joe Robbins’ experience, extensive working knowledge of the special permitting process, access to a vast network of specialty transportation equipment, and determination allow him to handle all of our most challenging transportation issues. Perkins motto is ‘…when execution matters most’. In order to support that motto we only work with industry members that are qualified and experienced to meet our standards in safety, customer service, and added value for our customers. Joe Robbins and Triple R Transportation have been qualified through our vetting processes, and through years of experience in working with Triple R they have demonstrated time and again that they are true professionals that will consistently produce excellent results in an industry that demands it. What are the largest cargo dimensions Triple R can transport? There is no particular size limitation. 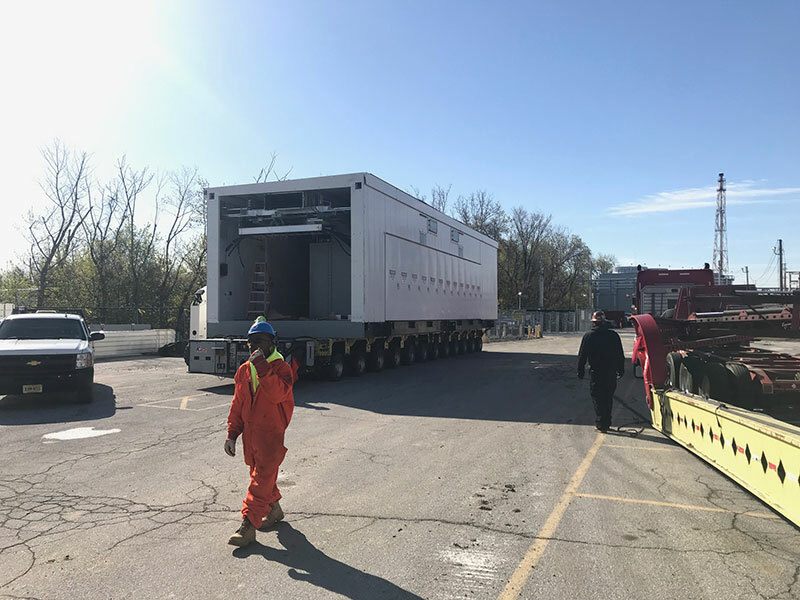 Give us a call with your shipment dimensions and one of our expert staff can investigate the feasibility of your shipment, whether by barge, truck, rail, or a combination of the three. What size cargo requires a permit? In most states, without a permit, a truck and trailer combination cannot exceed 80,000 lbs, 8 feet 6 inches wide, and 13 feet 6 inches tall. Specialized equipment can be utilized to keep overall dimensions within these parameters. However, if when loaded these dimensions are exceeded, a permit must be obtained. Can I combine multiple pieces of cargo into a single load? Multiple pieces of non-permit cargo cannot be combined to make a permit load. Certain over dimensional cargo, such as two over-width items can often be combined in a single load depending on the overall weight and length. To find out if your specific cargo can be combined into a single load, call and speak to one of our experts! Can Triple R handle international shipments? Triple R has strategic partners worldwide and can assist with almost any shipment regardless of size or location. How long will it take to obtain a permit to ship an oversize load? 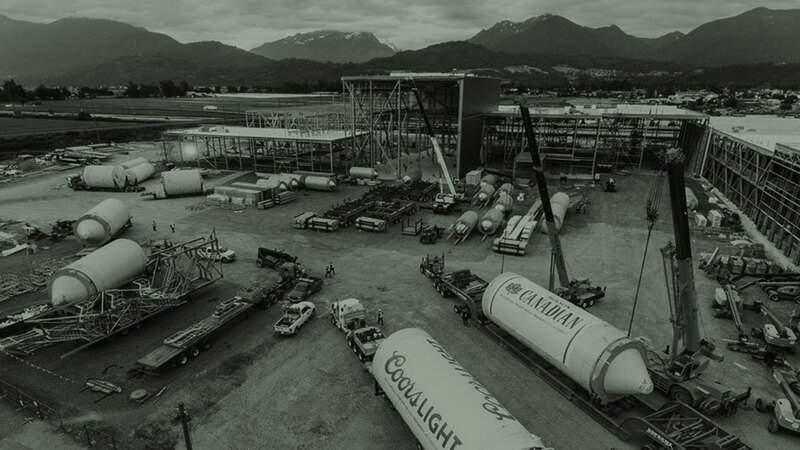 Permit turnaround time varies depending on geography and the size of load, with permits for smaller cargo issuing faster than permits for larger cargo. Some permits can issue the same day they are applied while others can take as long as two months to issue. Give us a call to speak with a permit specialist about the time required to obtain a permit for your shipment! Triple R Transportation, LLC specializes in transportation contracting and consulting with an emphasis on oversized cargo. We act as an agent for a number of the nation’s top carriers, allowing us to connect shippers with the carriers best suited for their particular needs.